The best way to get a head start on your career in the fashion world is to start by looking for internships. However, most internships you come across do not pay or pay you in exposure. Like everyone else, you have bills, possibly school loans, and the commute may not come cheap. To help you out, we've prepared a list of 18 websites and companies that offer paid fashion internships. From time to time, fashion companies need extra hands. You can apply directly but do keep checking in from time to time so you don't miss the opportunity when it arises. This fashion design company is often on the lookout for interns in the fashion industry, and they pay you for it. Some of the benefits that you accrue from the internship include working with some of the top designers in the country, discounts on their products as well as a shot of being employed by the company. Anthropologie is not your everyday fashion house. In addition to the elegant dresses and other fashion wear, they also have furniture and kitchenware. They pride themselves on having a workplace like no other with battleships and other architectural buildings. If this is your dream workplace, you can visit their careers page and find a position suitable for you. Tom Ford started his career by taking up an internship with Chloe. After a few years there, he took up a job with Gucci as a creative director. In 2005, he started his firm and created scents, a clothing label, and accessories. The company is continually looking for new talents since they always want to expand. With NET-A-PORTER, not only do you get to work with creative and talented people in the US, but you get an option to work outside the country as well. Their career section on their website lists the open positions at any given time. This design house is the go-to fashion brand for the young and young-at-heart offers internships occasionally. They have over 620 stores in the US, Canada, and Puerto Rico. Their salary packages are competitive, and the work environment is enviable. Visit their website for more info on when and where internship opportunities are available. The company is in New York City and has over 140 outlet and retail stores in the US. They handle a vast majority of fashion items including clothing to jewellery, tabletop, handbags, fashion accessories, fragrance, shoes, desk accessories, stationery, home decor, and eye-wear. If this is your scene, just visit their website and browse their career section for available paid internship opportunities. Sometimes looking for internships from the company website may be very tiresome. There are many companies, and it may be difficult to keep track of all of them. Internship websites offer you a collection of the opportunities – all in one place. You just need to sign up. Some websites go a step further and give you the option of uploading your resume. It allows employers to seek you out themselves. Follow your gut instinct when you come across suspicious internship offers. You will always get that feeling in the pit of your stomach telling you that you should not follow through with one or another offer. The bottom line is that if it does not feel right then probably it is not right for you. VelvetJobs specialize in Fashion based internships and jobs across the US, there are currently over 57,000 to choose from so you'll never be lost for choice. VelvetJobs also allows you to have your internships opportunities curated for you, saving you a lot of time with searching. Want to learn more about careers in fashion? Check out our Essential Guide To Careers in Fashion! Your profile is your resume so be sure to be very professional and to state clearly in your headline what you're capable of doing. There's a career section where you can search for opportunities you like. Most fashion CEOs and senior executives have accounts here. Be vigilant, follow their activities, comment and connect with them and you will be a step closer to landing an internship at your favorite company. The site offers a wide variety of internship opportunities and has search options based on major, location, internship category as well as the company with which you want to work. Additionally, there's an internship predictor that matches you with your preferred opportunities based on your profile. You will have to start by setting up an account for best results. 1. Decide on a specific area in which you want to work. 2. Research about companies you want to work for and find out if they have a position that suits your interests. 3. Create and customize an outstanding resume. It will bring out your best qualities and addresses your dream company’s pain points. 4. Write a customized cover letter. Remember as a new intern you may not have much experience and your cover letter is your best bet for selling yourself. 5. Apply to several companies, not just one, to widen your net. 6. Attend networking events in your chosen area of specialization. Knowing someone on the inside gives you a higher chance of landing an interview. 7. Research more about fashion-related internship interviews and prepare for them. 8. Ace the interview and land the gig. Lauren Berger held about 15 internships in her heydays and took up the title of intern queen. She went ahead and founded this website to help connect students to companies and vice versa. The site has many leads updated regularly. You can find something here by filtering your search to incorporate the businesses and industries in which you are interested. Unlike many other websites that require a lot of time to navigate and search for internships, this one is where you create a site and wait for employers to find you. There is an employer database of over 10.000 members and as long as you optimize your profile, you will have interviews in no time. This website gives you a massive selection of fashion jobs from which you can choose. They require you to apply and be accepted to a program and location before you can select the internships. 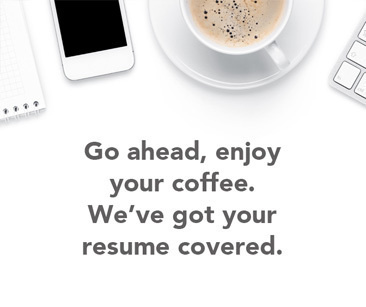 You also get help with your resume before an interview is set up. You can choose from buying, fashion public relations, showroom, merchandising and design positions. This site does not exactly have the best of name out there. There are frauds related to it but do not let that discourage you. Craigslist is also a goldmine for paid fashion internship opportunities. You just need to be cautious and do due diligence on all the openings you find here but do check it out, it just may turn out to be your lucky charm. This website eases your search for internships in Chicago and New York City. You can use the following filters: Freelance, Fulltime, part-time, paid, for college credit and unpaid internships. You will need to sign up and become their member to browse the available opportunities. Some sites are exclusively for you, listing fashion internships only and are ideal if the other sites do not provide you your desired options. If you're looking to work for the crème de la crème of the fashion industry, then this is the site for you. The first time you apply will be free; you will have to pay for the second application onward. The paid fee becomes worthwhile in the end because you receive firsthand information about the best fashion jobs out there. Asking little to no questions. This is your chance to soak up the knowledge, ask, ask and ask some more. Go overboard with your outfits. If in doubt dress like the brand and consider you may be working in an office environment. Not asking for feedback. When the internship ends feedback is imperative to helping you to improve. Research, research, research. Learn the names of the key players in the company, their competitors and the company's opportunities and threats. Use your initiative. Internships require you to be adaptable, one moment you may be locating different wardrobe pieces for your supervisor the next you may be on the phone to another department. Jump on tasks that need help. Be punctual. The fashion industry can be touch and go at points but handling time is key to having everything flow. A late intern can delay more than you realise. This website is specifically for those wanting to work as fashion journalists. The site has listings for the best magazines such as Vogue. The jobs and internships list is according to categories, and you can choose to see results based on whether you are looking for a paid internship, unpaid internship or a job. If you're looking for a website with a large number of listings in the fashion industry, look no further. The site has a vast array of tips for fashion lovers. Employers post opportunities that they need to fill and you browse, select and apply for those you love. You could also subscribe to their newsletter to stay up-to-date when posting updates happen. This is an excellent resource for paid fashion internships. It has postings for all kinds of jobs in the fashion world, such as administrative, customer service, distributions, and warehouse, fashion design among others. It also offers freelance opportunities if a remote job appeals most to you. For over 14 years, Global Experiences has been placing students in internships. They have an international reach but will also find you a great design house in New York. The placements will earn you experience in merchandising, fashion business styling, and marketing. You can opt for either working in a boutique, fashion house or showroom. Several factors play into the process of searching for paid fashion internships. The most important being whether you are looking for intern opportunities for credit or gaining experience. Traditionally, students sourced for opportunities in their senior years to act as a stepping-stone to landing their dream job. As the job market became saturated, that changed and many students took up internships earlier to increase their chances. Always try to be specific about the area in which you want to work.